The predominant form of iodine in seawater is iodide. The natural seawater concentration of all iodine species combined is approximately 0.06 ppm, classifying it as a minor element. Even in this small concentration, iodine is required for survival of fishes, crustaceans, macroalgae and kelp, and hermatypic invertebrates alike. Iodine binds rapidly with latent organic material and is passively removed by aggressive protein skimming and the use of organic-adsorption products such as activated carbon and specialty resins. 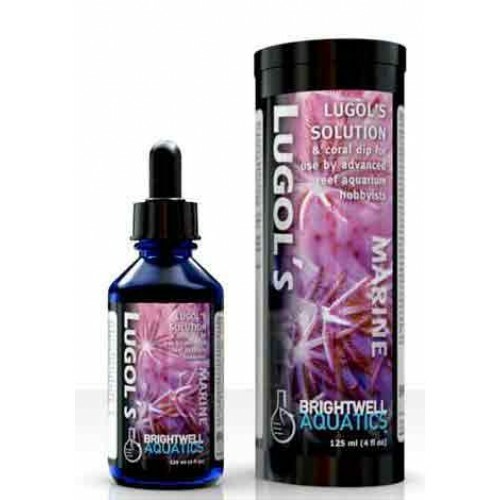 The combined biological and chemical depletion of iodine necessitate that its concentration be monitored and the aquarium supplemented as needed. The rate at which iodine is extracted from the water is determined by the stocking density of reef-building livestock, type of lighting, and other biological, physical, and chemical conditions. Once the rate of iodine uptake in the aquarium has been determined, the proper dosing rate of this product can be easily calculated.